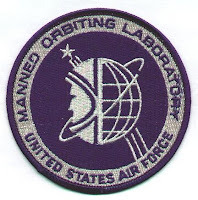 What if there was once an effort to establish an alternate cadre of astronauts for the U.S. Air Force’s Manned Orbiting Laboratory (MOL) program, besides the well-known test pilots? The evidence is slim: just two sentences in a report on the role of pilot-physicians in the U.S. Air Force, and an email confirmation by one of those pilot-physicians. But that tenuous evidence provides a crack into the wall of secrecy and forgetfulness that still surrounds aspects of MOL. but is silent on the purpose of MOL itself. All crewed (previously called “manned”) spaceflight projects have something in common: at least one human crewmember. Early space age science fiction often assumed that many space missions would be scientific, civilian undertakings, usually led by a professor, but with a certified pilot along for the hard stuff, like piloting (ref. 5). In December 1958, NASA’s draft announcement for Mercury astronauts showed some vestige of that mindset. It broadly sought men with advanced degrees or three years research experience in the physical, mathematical, biological or psychological sciences, or engineering research and development, preferably with experience as commanders, pilots, navigators, communications officers or engineers on aircraft, balloons or submarines (ref. 3). Nevertheless, the first NASA astronauts ultimately came from among the nation’s cadre of military test pilots. This criterion was suggested by the selection committee and endorsed by President Dwight Eisenhower at least in part to insure that the candidates’ medical and performance records were detailed and available, and that they would not be tempted to renegotiate their salaries (ref. 17). Such test pilots were almost always graduates of the world’s most prestigious and rigorous aerospace training programs, trained to wring the last degree of performance from unproven and uncooperative aircraft in the most quantitative and precise manner, before the aircraft were released to active service. As a result, the terms “astronaut” and “test pilot” quickly became synonymous and remained so for decades. However, by October 1963, even though all 30 of NASA’s astronauts had previously been military-trained fighter pilots, six had never been test pilots: they were Air Force pilots with engineering backgrounds, Navy operational pilots or former military pilots with some scientific training (ref. 17). NASA had broadened the applicant pool by dropping the test pilot requirement for the class of 1963 to ensure enough astronauts for the predicted vigorous space program of the 1960s. Then, in October 1964, under pressure from the scientific community, NASA announced it was recruiting scientists with no pilot credentials at all to be astronauts on future lunar and space station missions. NASA management was willing to take a chance on a few scientists, interspersed among the test pilots, to validate and exploit man as an observer and investigator in the novel environment of space (ref. 17). NASA thus began a slow turn toward the archetypal space explorer of science fiction; two of the first six scientist-astronauts were even professors, although all were sent to Air Force jet pilot training. Simultaneously, the Air Force’s MOL program commenced its first military astronaut selection. A total of 17 Air Force, Navy and Marine Corps test pilots, all graduates of the Air Force Test Pilot School, were selected in three groups between November 1965 and June 1967 (ref. 6), and a fourth group selection was in work when the program was cancelled in June 1969 (ref. 9). The MOL program originally envisioned just five manned missions of the Gemini-B/MOL combination, launched atop Titan III M boosters from Vandenberg Air Force Base (AFB) near Los Angeles, California. Assuming no repeat-flyers, five flights of the Air Force’s adaptation of NASA’s two-man Gemini capsule would offer ten seats, but not a single MOL pilot made it into orbit by the end of the program; one had died in training and two others had departed for other duties (ref. 16). The 14 MOL pilots who were still with the program when it was cancelled. When it was first announced in December 1963, the primary purpose for MOL was to assess the military value of man in space. At the top of the list of its goals was the use of large optics in space, specifically the six-foot-diameter KH-10 spy camera (code-named Dorian), which could resolve features as small as a softball. Additional military tasks included: tracking of targets on and off Earth; electromagnetic intelligence surveys; multi-spectral photography; and post-strike target assessment after a simulated nuclear exchange. Other experiments were less overtly military and more broadly applicable to men in pace in general: assembly of large structures; spacecraft maintenance and repair; spacewalks with a backpack maneuvering unit; and, of course, biomedical experiments (ref. 15). By 1965, reconnaissance tasks came to dominate as MOL was refocused as a test bed for new intelligence-gathering techniques and space vehicle operations. Nonetheless, the presence of men aboard this hoped-for set of five missions of 30 days each, so early in the spaceflight era, constituted a dramatic challenge to human safety and performance and promised to advance knowledge of space biomedicine in support of future Air Force spaceflight programs. Given many of the same objectives as NASA, one may wonder why the Air Force still opted for test pilots. These young men, who may not have considered flight surgeons to be their natural enemies (ref. 13) but probably disdained medical experiments, were vying to spend a month in low Earth orbit, in cramped quarters, day after day. When they were not peering through eyepieces aiming cameras and antennas at military targets around the world, they would be subjected to a bewildering number of esoteric medical measurements. In fact, in mid-1964 two of the soon-to-be first group of MOL pilots spent two weeks in a space cabin simulator inside a vacuum chamber (ref. 7) to demonstrate the capabilities of the vehicle systems and maybe also their own motivation. The answer may have more to do with preconceived notions and bureaucratic inertia than with job descriptions. First, MOL was offered to the Air Force in part as consolation for the X-20 Dyna Soar, a Mach-25 test vehicle which was cancelled in 1963 at the same time that the MOL program was established (ref. 6). Dyna Soar was to have continued the progression of X-vehicles, most notably the hypersonic X-15. The test pilot infrastructure, including the cadre of X-20 pilots, formed the nucleus of the crew component for MOL. Col. Chuck Yeager, then the commandant of the Air Force’s Test Pilot School, was charged with selecting the MOL pilots in October 1964. He and his selection committee drew upon the men they knew to be the most qualified: their own students (ref. 18). Second, test pilots were widely assumed to be capable of doing everything that needed to be done in space, even biomedical research. According to Brig. 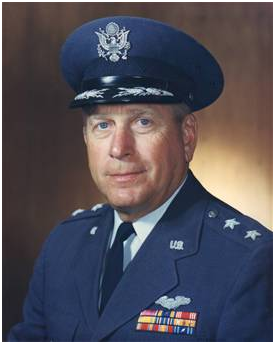 Gen. Joseph S. Bleymaier, Space Systems Division deputy commander for manned systems in 1964, MOL crewmen would have to do both piloting and space experimental work, and he said those jobs "require the services of trained and experienced research [e.g., test] pilots" (ref. 12). However, by the time the first manned MOL flights were to be launched, in 1967 or later, the Gemini-B spacecraft would have been literally an outdated vehicle, with NASA having moved on to the more complex and capable Apollo. The Gemini-B was to be launched bolted directly to the MOL, so no in-orbit maneuvering—that is, “piloting”—would have been required for the two to join up in space. Gemini had the capability for active control during re-entry into the atmosphere, and demonstrated precision splashdowns by the end of the program, but the required piloting could be—and had been—done by the onboard computer. Gen. Bleymaier said he considered test pilots to be necessary for the planned experimental work, but another general apparently did not share that opinion. Less than a year after being designated the USAF Surgeon General in late 1963, Lt. Gen. Richard L. Bohannon “determined that MOL had a requirement for new pilot-physicians” (ref. 10). That is first one of the two sentences to which I referred in the opening paragraph, but it says nothing about what that requirement might be. The Surgeon General is a member of the Air Staff, which supports the Air Force Chief of Staff, one of the members of the Joint Chiefs of Staff. Through Gen. Bohannon’s influence on the Air Staff, in October 1964 a formal board was established to allocate two pilot training slots per year starting that same year for qualified and highly motivated young flight surgeons. Lt. Gen. Bohannon outranked Brig. 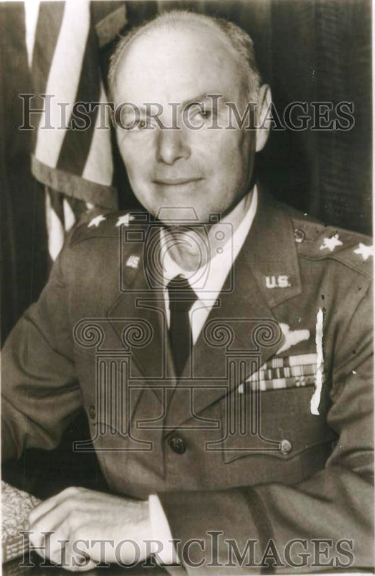 Gen. Bleymaier and especially Col. Yeager, but he could not assign physicians to pilot training directly. As Surgeon General, he headed the Air Force Medical Service (ref. 8), but pilot training was the responsibility of a different organization, the Air Training Command (ref. 2). The MOL program was managed by yet another organization, the Air Force Systems Command (ref. 1), which included Gen. Bleymaier’s Space Systems Division as well as Edwards AFB and its Test Pilot School in the California desert northeast of Los Angeles (where Col. Yeager selected and trained the MOL pilots), Vandenberg AFB on the Pacific coast west of Los Angeles (where the MOL missions would launch into orbit), and Brooks AFB and its Aerospace Medical Center in San Antonio, Texas (where flight surgeons were trained and space biomedical research supporting MOL was conducted). Flight surgeons provide clinical care to the astronauts, supported by a much larger community of space life sciences researchers who collect, reduce, compile and interpret the experimental data that provides the knowledge of occupational and preventive space medicine. These space medicine specialists were usually not jet pilots but acquired considerable familiarity with the operational environment by flying in the back seats of high-performance aircraft. They would have been monitoring the MOL pilots by telemetry during their flights, in addition to overseeing their preflight training and post-flight rehabilitation. The specific request for more pilot-physicians suggests that Bohannon intended for these pilot-physicians to do more than current flight surgeons did: actually to take their places in spaceflight, perhaps as one of the two pilots on one or more MOL missions. Thus, Dr. Mapes said explicitly in this email what had only been alluded to two decades ago: the Air Force pilot-physicians were intended to be qualified as MOL astronauts. While Gen. Bohannon could not directly add physicians to MOL flight crews any more than he could directly add them to pilot training, he seems to have reasoned that it would be easier to convince Systems Command to include pilot-physicians on MOL flights if a cadre of pilot-physicians were already trained and available—not easy, certainly, but easier. The new pilot-physicians provided at Gen. Bohannon’s initiative served a two-year commitment as full-time fighter pilots before returning to their medical duties; thus, the two 1964 designees were not available for medical duties until 1966. By 1968, six had been trained under Bohannon’s initiative, for a total of 16 active pilot-physicians, including 10 older pilot-physicians already on active duty, out of 20 who had been active in 1964. There had apparently even been some consideration of sending pilot-physicians to test pilot school, perhaps to increase their acceptability as MOL crewmen, but that went nowhere (ref. 10). But Gen. Bohannon’s efforts were for naught: three groups of test pilots had been selected as MOL astronauts by 1968, with no obvious consideration of the pilot-physicians whatsoever. Then, in June 1969, “the Manned Orbiting Laboratory was cancelled and with it the justification to train physicians as pilots” (ref. 10). That is the second sentence in the report that I mentioned. The MOL Program always seemed to be at least three years away from its first launch due to insufficient funding, and was eventually cancelled after only a single flight of a test capsule in the Gemini-B configuration. It had become apparent to the Air Force that MOL would essentially be duplicating the effort of the NASA Skylab program, and that unmanned reconnaissance satellites had developed to the point where manned presence in space was unnecessary for that purpose (ref. 9). One might ask if the two-year commitment as active-duty pilots was a quid pro quo from the Air Staff, to ensure the service derived demonstrable operational benefit from the newly-trained pilots in addition to any potential benefit to space medicine of having physicians trained as pilots. Perhaps Gen. Bohannon acquiesced, knowing he had no choice, expecting that the MOL program would be delayed just as every other major program had been, allowing his pilot-physicians to catch up with it later. It may not have been an unreasonable compromise, either. Having more selected and potential MOL pilots than places available would have lessened the impact of the expected attrition as tours of duty (the duration of which varied according to assignment, but were about three to four years) (ref. 11) for the first group expired. Donald Slayton, NASA’s chief astronaut in 1964, guessed that a reasonable an annual attrition rate of 10% would prevail among his available astronauts (ref. 17). In fact, NASA’s loss rate averaged about half of that from 1964 to 1968, and MOL’s was only slightly greater. The extended development phase would have benefited from available pilot participation in the many planning meetings, and the eventual flight phase would have needed backup and support crewmembers. Gen. Bohannon may also have been betting that the early MOL missions would identify medical problems that would require a physician in flight. If so, then he was prescient, because something similar happened in NASA almost two decades later. When the problems of sensory-motor adaptation (motion sickness) and orthostatic intolerance (light-headedness) had a demonstrable and publicly-visible operational impact on two of the first five Space Shuttle missions, NASA added physician-astronaut Norman Thagard (himself a pilot-physician of sorts: a former Marine Corps fighter pilot who then earned his M.D.) to STS-7 and William Thornton to STS-8 to acquire the data needed to solve the problems. Thornton had previously been a physician-engineer in the MOL program, and was given almost sole responsibility for the medical research program on these two Shuttle missions. The NASA official who gave him that responsibility was James Abrahamson, an Air Force general on loan to NASA as the associate administrator for spaceflight and a former MOL astronaut-designee (ref. 4). In the end, this engineering approach to a complex physiological syndrome did not solve the problems, but it did demonstrate the attractiveness of an operational approach to space life sciences research, a lesson not lost on the incoming generation of space life sciences investigators (including me). Finally, Gen. Bohannon may also have been positioning his protégées to participate in post-MOL missions. In 1964, NASA and the Air Force were planning a joint “National Space Station” to succeed both MOL and what became the Skylab station. __, “Air Force Systems Command,” https://en.wikipedia.org/wiki/Air_Force_Systems_Command (accessed 22 June 2013). __, “Air Training Command,” https://en.wikipedia.org/wiki/Air_Training_Command (accessed 22 June 2013). __, “Invitation to Apply for Position of Research Astronaut-Candidate,” NASA Project A, Announcement No. 1, December 22, 1958 (draft). __, “James Alan Abrahamson,” https://en.wikipedia.org/wiki/James_Alan_Abrahamson (accessed 23 June 2013). __, “List of fictional astronauts,” http://en.wikipedia.org/wiki/List_of_fictional_astronauts (accessed 22 June 2013). 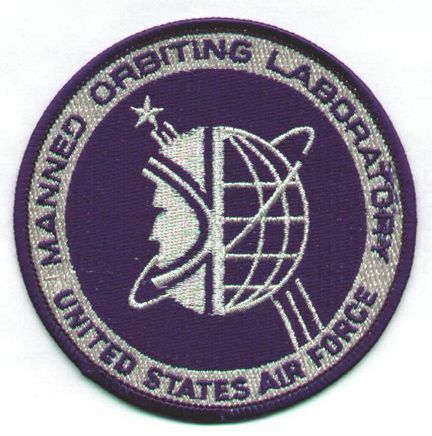 __, “Manned Orbiting Laboratory,” https://en.wikipedia.org/wiki/Manned_Orbiting_Laboratory (accessed 6 May 2013). __, “Test Proves Man Valuable in Space” (AP), Syracuse Post-Standard, Wed., Sep. 2, 1964; LIFE, Oct. 27, 1964, p. 124. __, “United States Air Force Medical Service,” https://en.wikipedia.org/wiki/United_States_Air_Force_Medical_Service (accessed 22 June 2013). Cassutt, M., Who’s Who In Space, The International Space Station Edition, Macmillan Library Reference USA, 1999. Koritz, T.F., “USAF Pilot/Physician Program: History, Current Program, and Proposals for the Future,” USAFSAM-TP-89-9, July 1989, http://www.dtic.mil/tr/fulltext/u2/a212671.pdf (accessed 7 Jan. 2013). Little, D.D., and B.L. Spink, “USAF Personnel Rotation in Southeast Asia (A Chronology), 1961 through 1968,”Air Force Historical Research Agency, Maxwell Air Force Base, Alabama, April 2008, http://www.afhra.af.mil/shared/media/document/AFD-090804-098.pdf (accessed 10 June 2013). Lochbaum, J., “MOL Men Will Train At Brooks,”San Antonio Express, Thurs., Nov. 19, 1964, p. 1 and 16. Mackowski, M.P., Testing the Limits: aviation medicine and the origins of manned space flight (Texas A&M University: College Station, Texas, 2006). Mapes, P.B. “The history of the United States Air Force Pilot-Physician Program,” Aviat. Space Environ. Med. 1991; 62:75-80. Posey, C., “A Sudden Loss of Altitude,” Air & Space Magazine, July 1, 1998, http://www.airspacemag.com/space-exploration/A_Sudden_Loss_of_Altitude.html?c=y&story=fullstory (accessed 4 June 2013). Shayler, D., with G. Carr comments, Around the World in 84 Days, Apogee Space Books, 2008. Slayton, D., and M. Cassutt, Deke! Forge Books, 1994. Yeager, C., and L. Janis, Yeager, An Autobiography, Bantam Books, 1985. Great work, John! And timely enough that many veterans of the program, with their own memories and files and photos, may be still around to be surprised that somebody is still interested in their experiences. Just barely in time!